No, that doesn’t mean there will be 2,015 projects I will be working on. It means there are a few things I’m getting involved in during 2015. In years past I’ve tried resolutions, goals, and “One Word” and I’m terrible about following through with what I start. 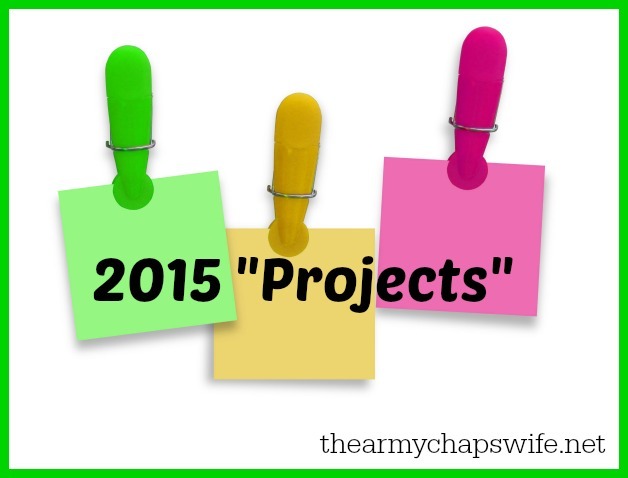 These “projects” I’ve chosen this year have built-in accountability, which I need. Ashley Pichea has written a book by the same name and she’s hosting a challenge this month to read through the book and pray for your spouse based on each day’s focus. She sends out an encouraging reminder email each day, which is very helpful. This is a new one for me, and I’m really excited about it. There’s a lovely printable that goes along with it, and an Instagram theme (hashtag) as well. I try to do this every year, and last year I used YouVersion’s chronological reading plan and really enjoyed it. The app is on my phone and iPad, and kept me on track for the year. I’m using YouVersion again this year but chose a different plan–one that incorporates both Old and New Testament each day. As the year progresses, I’ll add other involvements, but these 3 are the exciting first-of-the-year ones I’m excited about. Love the projects you’ve chosen, Lisa! I have trouble with the follow-through of One Word & such, but have found if I tweet the scripture via WordArt I’ve created gives me the accountability I need. I’m reading ‘The Jesus Code’ this year, as well as focusing on a weekly set of verses based on my Sunday school lesson.